We are committed to delivering superior craftsmanship with each project. Van Scott Builders, Inc. is a family owned residential building company formed in 1951 and incorporated in the State of New York in 1955. Creative, open minded management attitude, employee & subcontractor dedication, and simple pride in our workmanship each contribute to our reputation, known area wide, as being among the most dependable and professional building contractors available. It is truly a unique experience to do business with a firm that is so personally involved and interested in your project. Consistently exceeding our customers’ expectations, building long term relationships with our clients and paying attention to the smallest detail is what makes our business successful. Van Scott Builders traces its heritage to 1948, when brothers Joseph and Charles Van Scott, both construction technology graduates of New York University at Delhi, established a custom carpentry business. During the post-World War II building boom, they offered their services as contract carpenters to the busy home builders in the Irondequoit, New York area. In 1951, Joseph and Charles moved to Palmyra and formed Van Scott Brothers, Inc. to build custom homes. During the 1950s, the brothers were primarily spot builders. Toward the end of the decade, as the business matured, they took in a third partner, and began some land development and tract building. Although building in tracts, all of the Van Scott homes were pre-sold and custom-built by qualified staff employees, rather than using less expensive, less consistent subcontractors. The Van Scotts had adopted a policy of spending their “advertising dollars” to assure each customer was totally satisfied, and therefore assuring themselves of a steady supply of referrals and sales leads. Early in the 1970s, Joseph Van Scott purchased the total ownership of the company from his retiring partners, and expanded into the remodeling business to serve the changing needs of the owners of existing Van Scott-built homes. Word spread quickly through the company’s market areas of Canandaigua, Sodus Point and the historic canal towns of Palmyra, Macedon and Fairport the Van Scotts were now in the remodeling business, as well as building new homes. In the late 1970s Van Scott Builders took on a new dimension when Joseph’s youngest son, Peter, joined the staff. Peter Van Scott is a very precise person, with a tremendous talent for cabinetmaking and millwork fabrication. His talents enabled Van Scott Builders to recreate missing or damaged woodwork for older homes. This launched the company into the restoration of many of the older historic homes in the Finger Lakes area. Joseph’s eldest son, Paul Van Scott, joined the business in the late 1980s, bringing his background in sales and business management to the company’s mix of talents. Through all the growth, you can still find Joseph doing what he likes best – swinging a hammer to make his customer’s dreams into reality. His idea of retirement was to get out from behind the desk and back to his roots in the field. 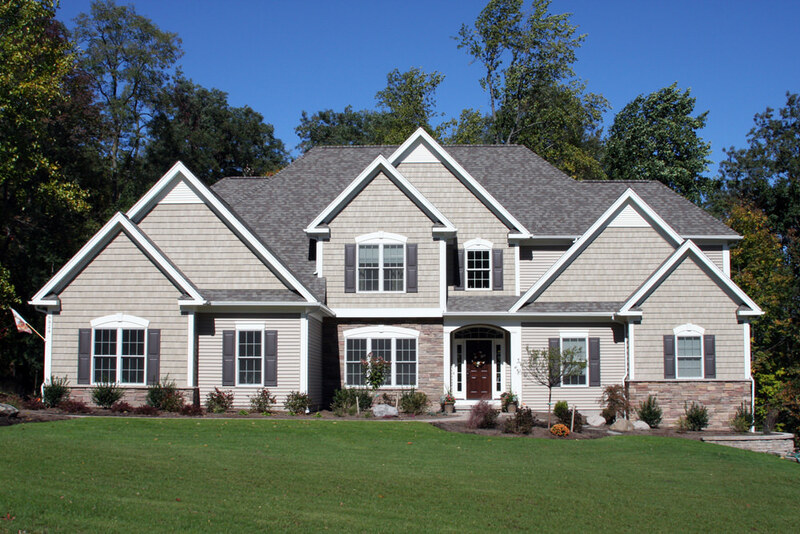 Today, the remodeling and restoration business continues to grow along with a resurgence of true custom-built new homes. The company now employs 10 people and an equal number of specialized subcontractors. Supplementing the actual construction, the Van Scotts employ the services of a designer and several area architects to take a client’s ideas from inception to planning and through completion. Paul explains that staff people handle all project management, carpentry, and finish work. Subcontractors and suppliers, many of whom have been associated with the firm for several decades, are specialists contracted primarily for their expertise in their respective fields. When you ask Van Scott family members to describe their business philosophy in a single word, several adjectives come up – words like quality, consistency, dependability, professionalism, involvement and skill. That is the way the Van Scott family wants to keep it, and why they continue to be hands-on builders. If that limits what the company can produce, that’s all right with them. Van Scott quality speaks for itself, and that is a 46-year tradition that will not be compromised.